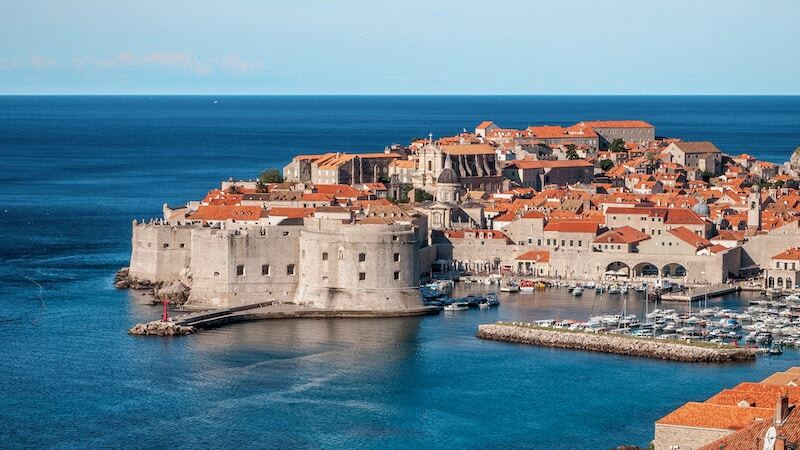 Croatia has something to amaze all travellers including a magnificent coastline, an abundance of incredibly beautiful islands, stunning interior landscapes, and ancient walled ports. 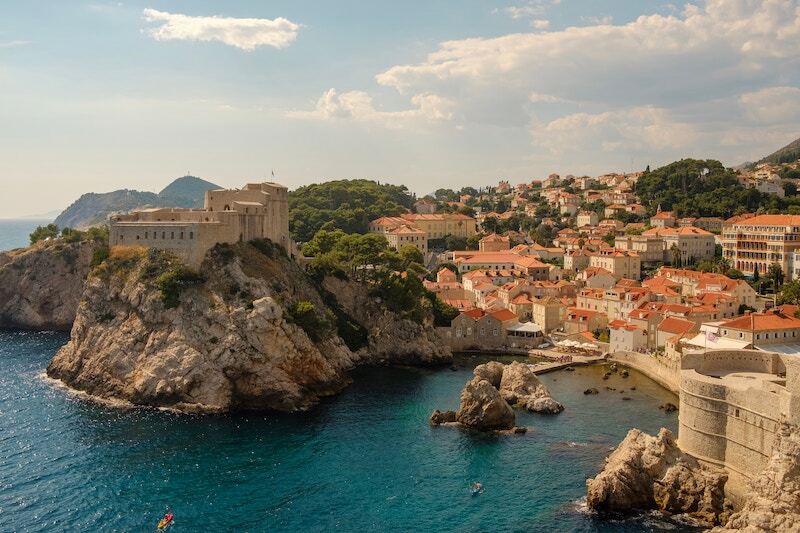 From exploring the different medieval fortresses of Dubrovnik to relaxing on the breathtaking beaches in Hvar, there’s a lot to do in this country. One great way to discover and explore Croatia, which happens to be our favorite, is sailing. Even if you travel by sea, the country has a multitude of experiences and sights to offer. When talking about hopping on a boat and sailing throughout the country’s coast, the only thing that will instantly come to mind is your swimsuit. The truth is, there are so many other items you will need during your trip to Croatia. Alongside the stops where you’ll drop anchor, there will be islands, national parks, and beaches waiting to be discovered. So, the following is a list of some of the basic items you will need. Whether it is swimmers, bikini, swimsuit, board shorts, trunks, togs, or speedos, bring your desired swimwear along. However, make sure you don’t go overboard with it. For instance, two of your desired swimwear will be enough so that you can wear one while the other one is drying and vice versa. If you plan on going to Croatia towards the end of the sailing season, then you will definitely need a jacket. In September, the weather can be quite unpredictable, so it is better to pack a lightweight jacket just in case to avoid falling sick. If you come across stormy weather while at sea, then you can feel pretty cold quite suddenly while on the deck. In turbulent waters, you will most likely be below deck, and a jacket will be successful in keeping the shivers at bay. A good book is essential for any adventure you take part in; however, it is still worth mentioning here since you need something to keep yourself occupied when others in the group have decided to relax and unwind. So, step away from technology as much as you can and get your hands on a good book so that you may enter into the full holiday mood. While an inflatable toy is optional, it is highly recommended. You might not believe it, but an inflatable will bring immense joy to a group of people, despite the fact that a lot of them will be young adults. So, whether you go for a swan, flamingo, unicorn, pizza slice, or doughnut inflatable, you will enjoy endless hours of fun, and you will get a chance to bond with the people abroad. Know that you will turn into a nice, rich share of red just like a lobster if you don’t take some extra precautions. So, make sure you pack a good sunscreen since you’ll be out in the sun most of the time. Plus, there is a great possibility that you will be fried by the sun and you can’t escape that so it’s better to be completely prepared. And since you’re already taking the precautions of sunscreen, it is better to also bring lip balm, good moisturizer, and an after-sun cream. Of course, you will be provided a towel on the boat for showering. However, it will be a good idea to bring along a beach towel to use on the deck. A good option is to opt for a microfiber towel since it is lightweight so carrying it won’t be a problem. The boat trip will involve you moving around barefoot on the boat for almost 80% of the time, note that you won’t be bound on the boat every day. So, you will have to take along the right footwear with you for when you go on the dry land. So, a good pair of flip flops will work out quite well for all land-based excursions. A waterproof camera is a necessity for capturing all of the action and the magnificent sites you visit so that you can show it to people back home and convince them to tag along the next time you plan a trip to Croatia. While a GoPro is a good option, you can choose a cheaper alternative like Apeman and Movie. The coast of Croatia is dotted with stunning islands that vary from small uninhabited islands to big ones that host large crowds every year. Similarly, you will also find natural reserves, ancient towns, an excellent nightlife scene, and various sporting activities. One activity that you must participate in while you are in Croatia is hopping between islands. Each island has something new to offer ranging from canoeing, scuba diving, skinny dipping, and parties lasting all night long. Croatia’s most famous destination for sailing is the southern Dalmatian islands, and if it is your first time visiting Croatia, then you must definitely go there. Most itineraries include round-trips either from Dubrovnik or from Split. 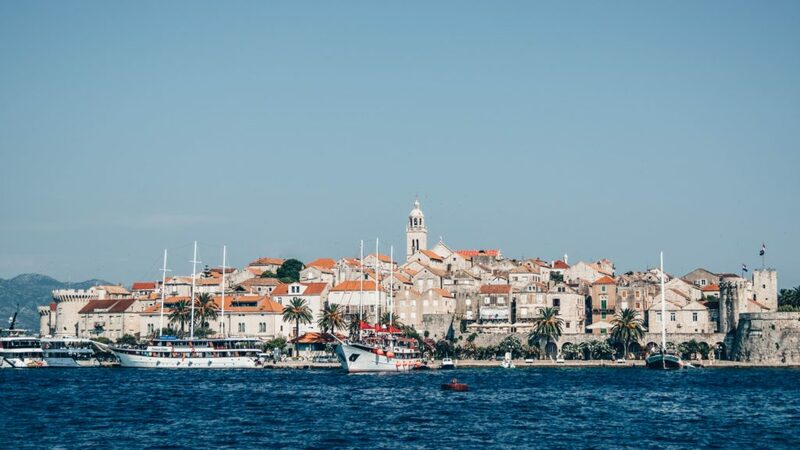 Other popular stops also include restaurants and chic bars in Hvar Town, Stari Grad and the UNESCO-listed plains, and quaint little towns like Milna on Brac, famous for the laid-back charm it has. Meanwhile, for seclusion, you can head over to the Stomorska village on Solta where the moorings have space for just fifteen boats. 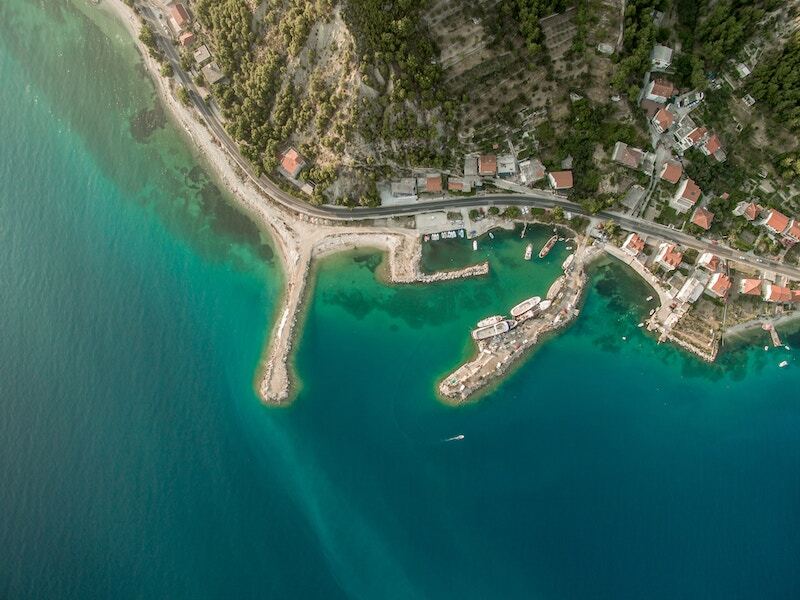 Similarly, you can spend a night in the Palmizana harbor where you can explore the car-free Sveti Klement, a forested Pakleni Island. 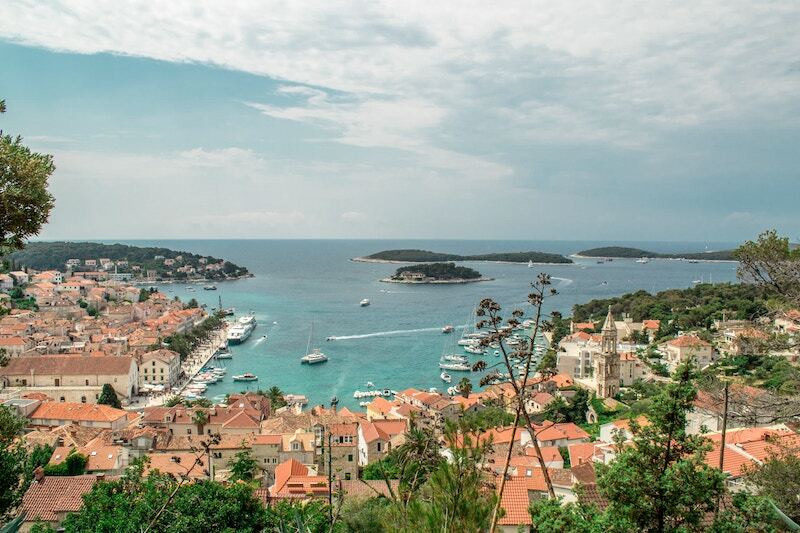 To have an idea about the beauty of Hvar and why it tops the list, think of it as the Monte Carlo of Croatia. Not only is it one of the most luxurious islands, but it is also the party spot for the famous and rich people. During the summers, the place is filled with crowds of party animals, and there is always a beach party going on. You can party hard late into the night with people from different countries belonging to different age groups. If you wish to have a party paradise experience, go to Carpe Diem where you’ll get to experience an unforgettable night. Take the boat going to the Carpe Diem beach and then party until you see the sun start to rise. The boat ride lasts for approximately 20 minutes from Hvar, and a return ticket costs roughly 40kn. Meanwhile, during the day you can wander around the marbled streets of Hvar and walk up to the fortress to enjoy a great view of the harbor. If you can, try to go up there at sunset; the view is breathtaking. The great thing about Hvar is that it has both small pebbly beaches as well as shallow sandy beaches. Plus, all the beaches are close to Hvar’s main old town part. Regardless of where you decide to go, the water will be extremely clear. In summer, the water of the shallow sandy bays will be nice and warm too. 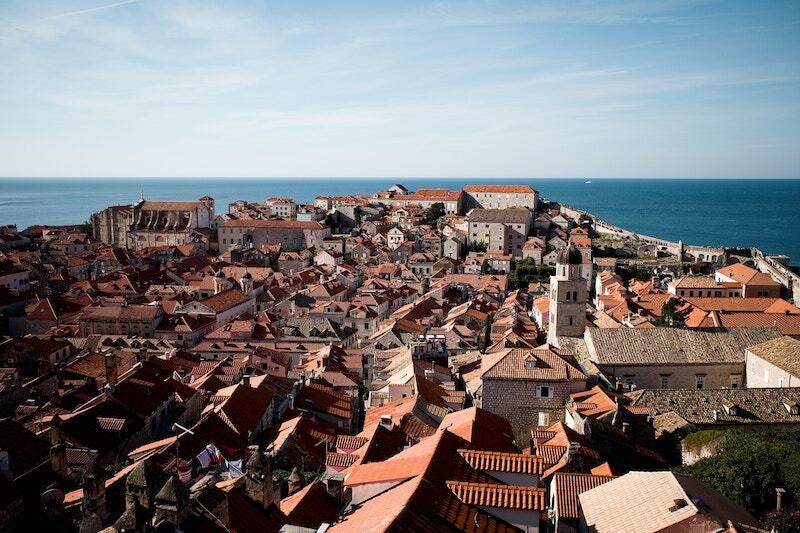 Known more famously as mini Dubrovnik, Korcula’s Old Town will give you a severe medieval feel. The town has high walls and narrow streets that shield it from the high winds. Once you step out of the boundary made by walls, you will realize just how effective they really are! In this small old town, you will find numerous restaurants and ice cream parlors as well as a market for purchasing souvenirs. In the market, you will find stalls offering everything ranging from plastic swords to even hats. You can also climb up the Marco Polo Tower at the Marco Polo Museum to enjoy some great views of the city. Like most Croatian cities, Korcula also has its beaches with the best beach being the one around Lumbarda. There are also various hidden spots that are definitely worth seeking if you want a more private day on the beach. Miljet is known as one of the biggest islands in Croatia. It is also one of the most stunning ones. It houses secluded saltwater lakes, pine forests, small and quaint villages, and vineyards. So, one visit to this place and you are in for a treat! 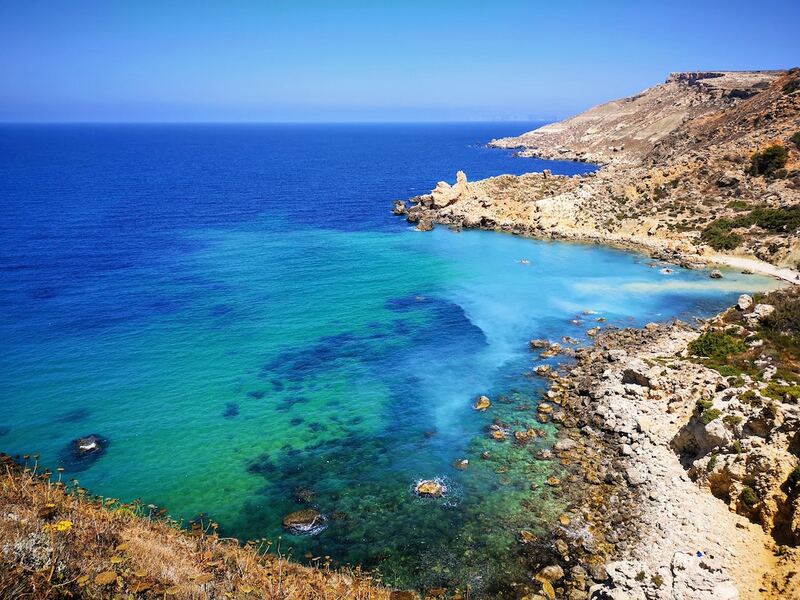 The island is also quite known for its red and white wines, fresh seafood, olives, and of course, the popular national park located on the northwestern end. While many people turn to the National Park because of its unspoiled nature, the island has numerous great beaches as well; the most famous being at the Saplunara; the eastern end. Saplunara is known for the sandy beaches and is approximately a kilometer long with crystal waters that are warm because of how secluded the place is. Stroll along the shoreline to find more secluded spots that are ideal for sun tanning. Split is the second largest city in the country and has to be the dream destination of every sailor. There is so much to do here. You can go to the many cathedrals, town squares, or galleries to get an idea of the place’s culture. If you wish to experience something a little more extraordinary, head over to Froggyland or sip wine at a jazz bar. Meanwhile, you can also tour the town on Segway or hit the waters again for a nice diving expedition. When to sail in Croatia? There are two main seasons for sailing in Croatia; one is the busy season from June to September and the second is the shoulder season which includes the months of April, May, and October. This is the main sailing season and the temperatures during this season are high which means that the water is warm. In fact, by the end of July and at the beginning of August, the daytime temperatures go up to 40 degrees Celsius. If you go during this time, then it is best to start the day early so that you can avoid the intense heat. Moreover, during these summer months, the islands, cities, and marinas are filled with travelers with many people arriving by ship. Since it is so crowded, it is best to book in advance if you’ll be traveling in these months. By the end of August, the temperature goes down to an average of 27 degrees Celsius with the sea temperature also being somewhat similar. This is the best time to do everything water-related whether it is sailing, snorkeling, swimming, or paddle-boarding. Since the sailing season extends from May to September, you should really try to plan something within these months. While the start or end of the season deals sounds quite appealing, temperatures average around 15 degrees in November and businesses start closing down for the year, so it is better to stick to the main sailing months. The official sailing season of Croatia extends from April to October and is recommended that you plan your trip during these months. At this time, the weather is quite ideal, and there are hardly any large crowds of tourists. Plus, the cruise ship season also doesn’t start by then, making it the ideal time to go sailing. Overall, you will get to have an incredible experience during this time, and you will also have the chance to interact with locals so that you can get a much better deal on the prices. 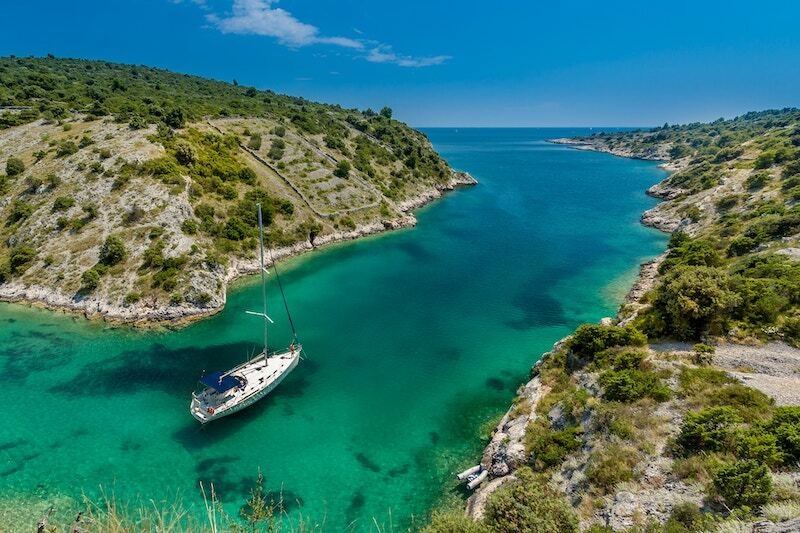 When it is time to sail, enter the sailing waters, or even charter your own boat on the Croatian land, there are port policies as well as customs you must be aware of. Be sure to be aware of some important legislation and legal policies. There should be at least one individual on the vessel of your choice that has a valid nautical license. Similarly, a person must also have a VHF license which is needed to operate the marine radio. Both the VHF license and the navigational skipper license in Croatia are issued by the Port Authorities. However, if your license has been issued in a foreign country, then you must check beforehand if it is valid for the territorial waters of Croatia. If you don’t want to have a skipper on board, then you must send the sailing company a copy of all your licenses in advance so that they confirm your booking. Apart from that, make sure you also carry the original documents with you. In addition to both the VHF license and the navigational license, also make sure that there is a certified crew list with you on board. The sojourn tax is basically the method of income of the Croatian Tourist Board. The tax is then used for the promotion, improvement, and development of the Republic of Croatia as an ideal place for tourism. The sojourn tax is to be paid by the owners of the private vessels as well as their guests. Additionally, it must be paid by the guests on board the commercial vessels as well. As of 2018, the criterion of the sojourn tax has changed. 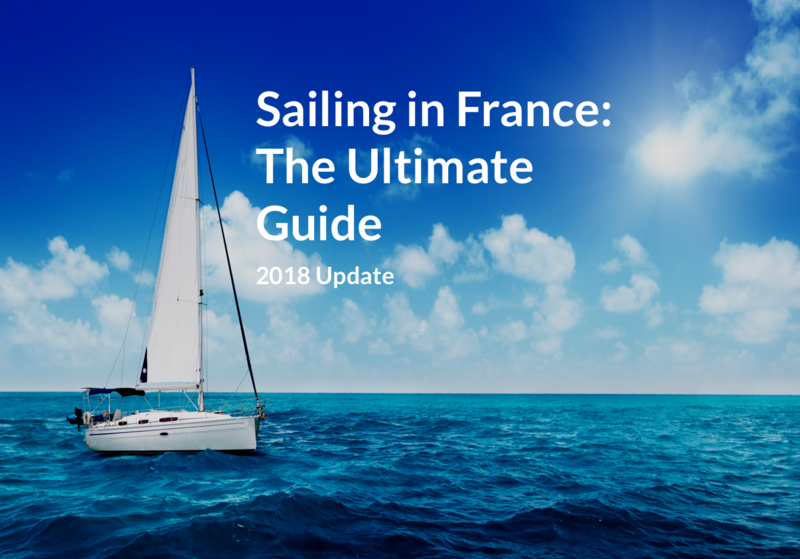 The new and revised sojourn tax fee for both the private boats as well as yachts is not calculated according to the length of the individual vessel. The length of stay of each vessel is also taken into account. There are 5 different periods for the length; up to 8 days, up to half a month, up to a month, up to 90 days, and up to the whole year. Those tourists who book their yachts through the charter companies must pay the sojourn tax fee to their chosen charter company. Meanwhile, the owners of private vessels have to pay the sojourn tax fee by themselves on a lump sum basis. To be sure, a private vessel is basically any vessel that extends to over 5m in length and has built-in beds used for cruising, recreation, and rest. In addition, such a vessel is not categorized as a nautical tourism vessel charter yacht. As for the lump sum amount of the sojourn tax, it is to be paid on entering the Republic of Croatia. Meanwhile, if the vessel is already within Croatia, then the tax must be paid before leaving the harbor or the marina in the office of the harbormaster. In the case of private as well as commercial vessels, all the crew on board is exempted from paying the sojourn tax. On the other hand, guests on private as well as commercial boats have to pay the sojourn tax fee. 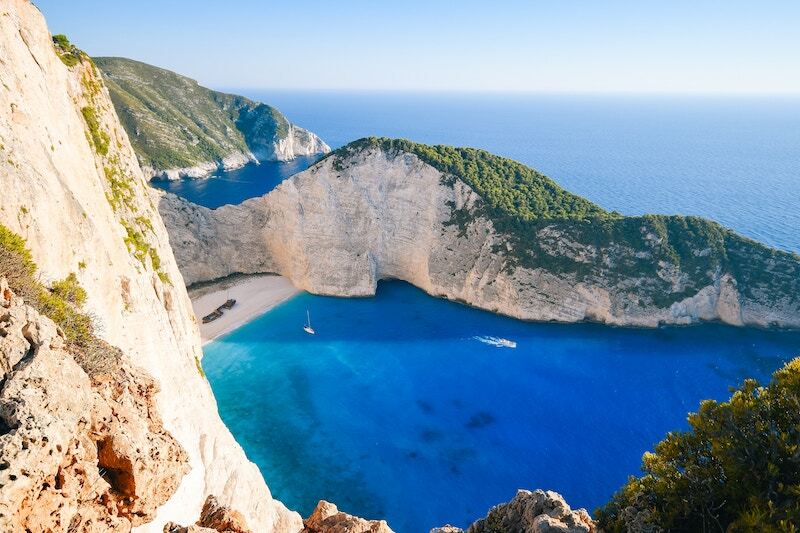 While France, Greece, and Spain are known to be some of the hottest spots for tourist in Europe, Croatia is known to be a kind of a hidden gem that makes a great alternative to the frequently visited holiday destinations. From cities full of culture to rocky coastlines that will make you never want to leave, Croatia to offer more than you can imagine. There is no doubt that a great way to go around the country is by water. So, let’s look at some best things to do and things to see when sailing in Croatia. Most famous for the scenic beauty it possesses, Rovinj is a city that is truly worth a visit. Tourists love to flock to this city. In addition, it is one of the busiest fishing ports of Croatia and is renowned for the pretty, pastel-colored houses that it has. Rovinj also has an archipelago that consists of 19 islands and that, coupled with the mainland, is full of natural beauty. In fact, both the pine tree and the oak tree forests, as well as the seascape, are known for being remarkably stunning sights. 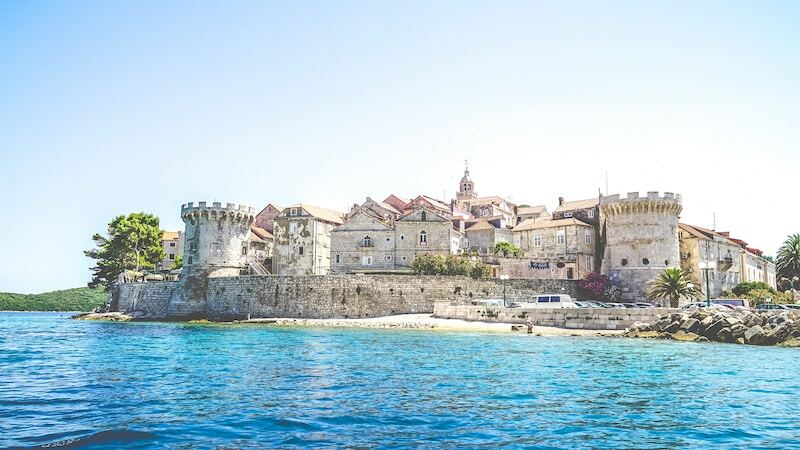 While Korcula is a good place to sail, it is also well worth a visit. Out of the 1000+ islands spread across the Adriatic, Korcula is the sixth largest island and is known as the ancient capital of the island. The place is known for its unique architecture as well as the beautiful views that stretch across the sea. Split has been termed as the biggest nautical center of the country’s Dalmatia region and has excellent sailing conditions as well as warm, seasonable conditions. However, there is plenty to do on the land as well. From the majestic cathedral of St. Domnius to impressive Golden Gate and even the ancient Diocletian’s Palace, there are a great many things to discover on this island. For a more elegant vacation, you can head over to the impressive collection of luxurious hotels and modern restaurants the place has. More famously known as the Pearl of the Adriatic, Dubrovnik is surely the number one popular tourist destination in Croatia, and it is pretty clear why. Dubrovnik is nestled on the Croatian coast such that it overlooks the peaceful and serene clear blue seas. It is a walled city that has been listed as a UNESCO World Heritage Site. It has everything one might like to enjoy including exciting museums, impressive Renaissance buildings, vibrant bars, luxurious hotels, and cobbled roads. Pula is situated in Istria and can be called as one of the up and coming destinations for tourists in Croatia. The place is home to numerous well-preserved Roman spectacles. In fact, built back in the first century AD, the Amphitheatre in Pula is the sixth biggest surviving Roman stadium of the world. It is also one of the best-preserved monuments in the country. During the summer months, the city has a vibrant and buzzing nightlife, and you even get the chance to attend performance and concerts at the Amphitheatre. Sitting in between both Hvar and Split, Brac is home to beautiful Mediterranean trees like olive and pine and is surrounded by white beaches. Apart from being the best place for sunbathers, the island also has some remnants of the pre-historic civilizations along with galleries, museums, and pretty churches. The place’s homemade wines and local dishes are also quite popular. When you get on the boat for sailing within the Croatian land, there are tips you must remember. If you decide to sail with a tour company, then it is your responsibility to adhere to the rules of the company regarding the behavior on board. Remember, it is not the job of the crew to babysit you. So, if there has been a curfew implemented on board and you constantly cause disruptions, then the captain and crew will have no problems asking you to get off the boat. Thus, it is best if you respect the staff as well as people traveling with you. Generally, tour companies don’t allow bringing meals or alcohols on the boat. However, a bar is available on board, and almost all the meals are included in the cost of your whole trip. The crazy partying scene of Croatia is what attracts the majority of the young generation. With nightclubs skillfully built in outdoor caves to the cheap prices of alcohol, it is no surprise that hitting the dance floor and spending the night sitting on the bar seems pretty exciting. However, being drunk can be quite dangerous, particularly if you are within a foreign country and going back to bed means finding your way back to your boat. So, be conscious of the amount of alcohol you consume and try your best to behave in a responsible manner. Is jumping in the water the best idea? Since you are going on a sailing trip, you are bound to find yourself submerged in the most stunning saltwater that you have ever experienced. The Adriatic Sea is known to have crystal clear water, and every time you come back out, you just feel like going back again. However, while jumping from the top deck of the 10-meter sailboat sounds appealing, what seems like a thrill-seeking and harmless act can go extremely wrong. From injuring the eardrums on impact to diving incorrectly, a lot of problems can occur. Note that your travel insurance doesn’t cover you plunging into the waters willingly from high heights. While tourism just started in Croatia, the country has become a traveler-friendly destination. You can withdraw the local currency from almost all ATMs using a cash passport or a credit card. Similarly, hospital and medical services are up to the mark, and you won’t have problems with communications since English is spoken quite widely here. That being said, we’re all aware that even the best of plans have the chance to go wrong. The Old Town centers of the country are still full of pickpockets and swindlers. So, be mindful of your belongings and keep them well-hidden. Moreover, all the touring boats are generally moored next to each other at the port which means that passengers from other boats walk through or around the decks of the other boats to reach the mainland ramp. Thus, make sure you lock up your cabin and keep the cabin door secured at all times. Also, make sure that you take your travel insurance along. Looking through all the pictures of Croatian island and the beauty it has to offer might have gotten you in the mood to visit the gorgeous country right away. However, you won’t really get to have fun if you are unsure of the places you must visit. 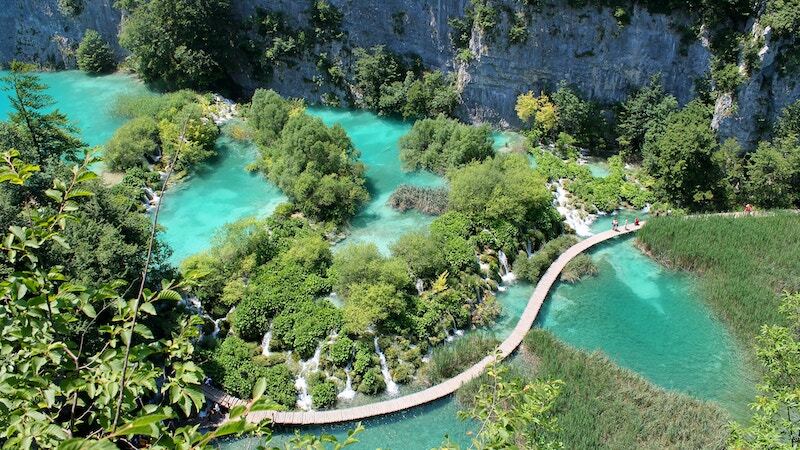 For this reason, following is a short list of the most recommended stops that you should definitely visit in Croatia. Legend has it that the Kornati Archipelago is God’s masterpiece. This archipelago has around 150 islands, and out of these, 89 belong to the National Park. Each year, thousands of visitors flock to the National Park Kornati as well as the Nature Park Telascica. There are two things in the Kornati that you shouldn’t miss. One is the monumental cliffs located on the south side of Dugi Otok. These cliffs first go up to an incredible height of 160m before they collapse down to a depth of 85m. The second thing you must have on your itinerary are the numerous restaurants here. These restaurants are dotted in as well as around the National Park and offer charming views of the stunning bays. Vis has more of a mysterious and philosophical environment. Here, you will find remnants of the past armies, bunkers, as well as tunnels that offer a great contrast to the stone houses, tranquil vineyards, and the olive plantations that the place has to offer. While in Vis, there are lots of things to do. You can visit the Blue Cave which is on the island of Bisevo nearby, or you can head over to the Green Cave located on the Ravnik island which is also quite nearby. Moreover, you can go for dinner at Kut-Lucality if you want to enjoy the tastiest fresh fish. Similarly, the lobster in restaurants in Komiza is one that is not to be missed. Another great thing to do in Vis is diving. There are over 20 diving sites here, and most reflect the military past of the island. You’ll get to see sunken merchant ships from the Roman and Greek period that’ll surely leave you awestruck. So, this was an extensive guide for when you decide to hit the waters in Croatia. Hopefully, this guide answers all your questions and guides you in the best manner so that you have an unforgettable sailing trip in Croatia. Remember, during your sailing trip, you should try your best to enjoy all the places to the maximum and go out and explore as many hidden gems that this beautiful place has to offer as you can. Enjoy the unparalleled beauty of the country, spend a day being mesmerized by the clear blue waters of the island, and just enjoy being in the company of your loved ones in Croatia!